Kids and alcohol don’t mix. Educating our kids about underage drinking is important to me, and so I’m excited to introduce my readers to Grab the Goodies, a free educational app by the Foundation for Advancing Alcohol Responsibility (FAAR). I was compensated by FAAR for the time spent reviewing and writing about the app. All opinions are my own. The underage drinking conversation is an important one to have with your kids – as soon as possible. As a mother of 3 teens (and two more soon to be entering their teen years), I know that it’s necessary to start that conversation long before they are teenagers surrounded by difficult choices and pressures from friends and peers. Neither my husband nor I drink at all, and we’ve been very upfront with our kids about our feelings about alcohol consumption. We’ve always felt like keeping the conversation open – and bringing it up regularly – is the best way to handle situations like these. We arm our kids with knowledge and make sure they know how they can (and should) react when confronted with pressures from their peers. The Foundation for Advancing Alcohol Responsibility (FAAR) is a nonprofit organization that is committed to eliminating drunk driving and underage drinking by promoting responsible decision-making regarding alcohol consumption – something I can definitely stand behind. This back to school season, the Foundation for Advancing Alcohol Responsibility is introducing a new component to the Ask Listen Learn: Kids and Alcohol Don’t Mix program – a fun-for-kids, parent-approved FREE app. 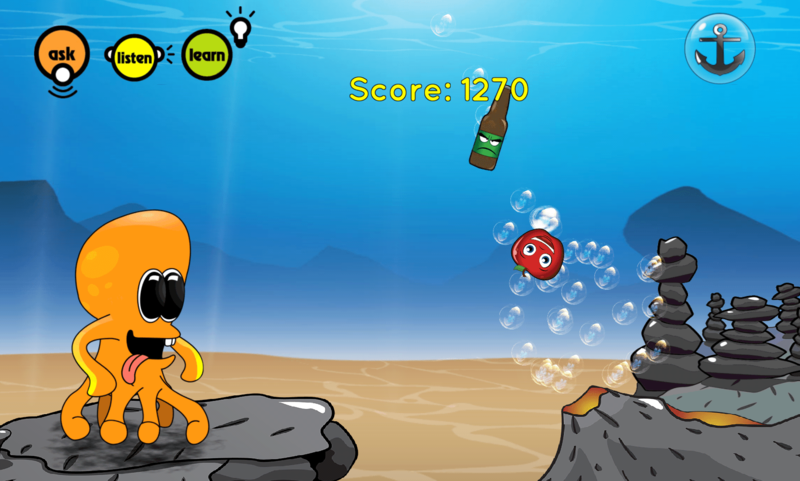 The goal of the new app, called Grab the Goodies, is to assist parents in their efforts to teach their kids to say YES to a healthy lifestyle and NO to underage drinking. 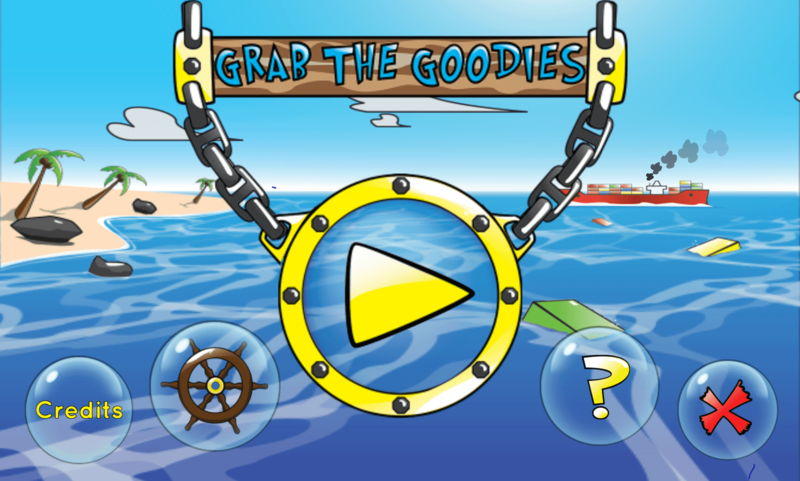 I love what the Grab the Goodies app does – it teaches kids to make healthy choices (and more importantly, WHY they should make those healthy choices) in a fun, non-threatening way. 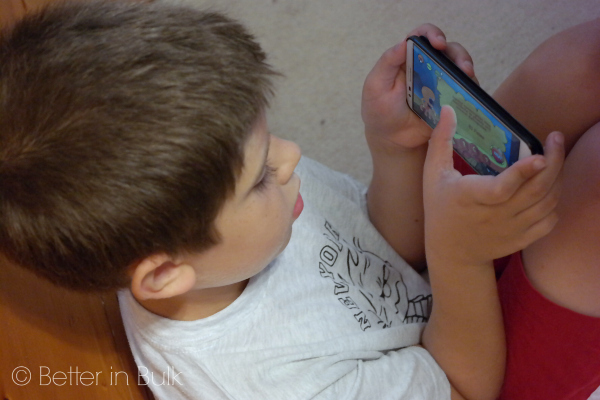 The app is geared towards kids, ages 6-9, and teaches them through play about the consequences of the things they do to their bodies – the good things they do and take in to their bodies as well as the bad things. Playing is simple – I handed the game to my 9 year old son without any explanation and he was able to pick it up right away. 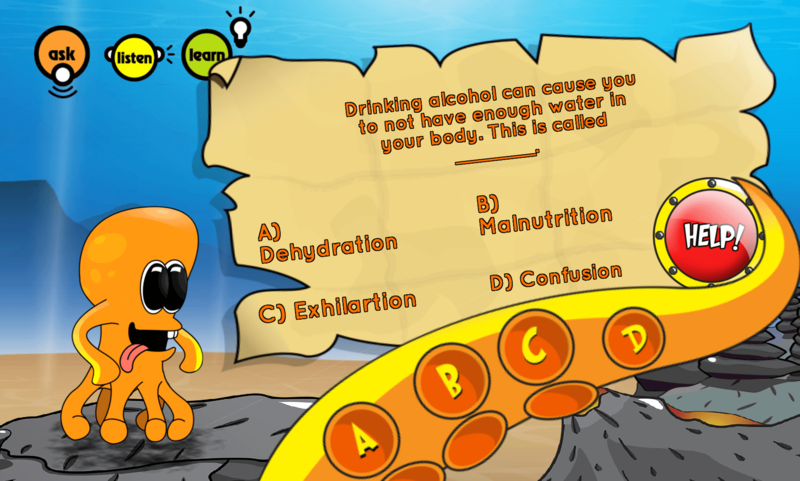 At the end of each level, players are given multiple choice questions about how alcohol affects their bodies, the basics of good nutrition and the impact of healthy decisions. Correct answers award extra points towards moving on to the next level. 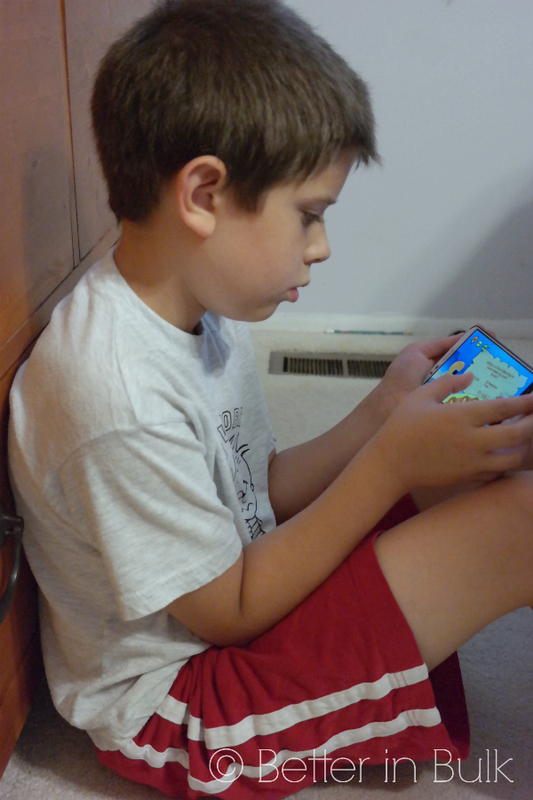 My son was so entertained that he never thought twice about learning about healthy habits. For more information, visit the Foundation for Advancing Alcohol Responsibility and get helpful tips and materials for starting open conversations with your kids about alcohol from their Ask, Listen, Learn program. How have you talked to your kids about underage drinking? Share your tips and experiences in the comment section below! I think this is a great app to help teach children about something very important but in a fun way. My son is 11 but I think this would still be good for him to use and learn from. Even though I discuss with him about this subject it doesn’t hurt to have this along with it. What an interesting way to educate your kids about such an important subject. I know the harsh reality that children are exposed to alcohol at a young age. That’s very unfortunate. This sounds like a fun and educational app for children to learn proper ways to take care of their body, including not drinking alcohol. WOW! AMAZING! This is so great,n app? Love it. Great way to start early. What a great idea for an app. I am picky about the apps I let my 6 and 10 year old use but think I should install this one. I didn’t know they had an app for this! What a fun way to get an important message across. It’s a very interesting idea to throw the concept out there so young and in a way that catches their attention, like a game. Really cool. This is such a great idea! It is never to early to start talking to your kids about good choices, I was shocked at things kids had been exposed to when I taught 2nd grade! I love when apps help teach something without the kids realizing it. I love the message behind this. This is an interesting app. I a not ready to share this information with my child (she’s only 2! ), but I am glad to see that there are more ways being introduced to talk to her about alcohol and the dangers of underage consumption. Great app! It’s always great to educate your kids early on about the dangers of underage drinking. What a cute concept. Love the graphics. My kids would enjoy this! Wow, I think this is super early to teach kids. My girls are 7 and that is just too young. They wouldn’t even know what it was at their age. I can see maybe 10-12 I suppose. This is so neat! I think turning education into a fun and learning program is a great way to catch the children of this generation’s attention! I think this is a very neat concept. I am not sure I am ready for my son to know about all these dangers yet but I will definitely consider showing him this app when I am. wow, ages 6-9, i guess no time is too early especially with all the ads on tv and everywhere we look. an app is a great idea to get the message across in a light way. This is a great idea to help address this issue. There really is an app for everything! There really is an app for everything – but this is a very good thing. I think all kids should give this one a try, awareness is key! Intersting but aimed for an age that I don’t think needs to be worried about drunk driving just yet. This is great! Kids today are tempted to do more and more horrible things earlier and earlier. This is a good way to teach them about underage drinking now, while they still care what we say! I haven’t talked to my kids yet, but now that my oldest is 10, I don’t know why I have been waiting. It’s never too early, right? I love this! Kids are pressured earlier and earlier to do more and more unhealthy things. INCLUDING underage drinking. This seems like a good way to teach them now, while they still listen to us. Yes! I hate that my kids have been exposed to so many nasty things. It happens earlier than I would like! What a great idea! Sadly, it’s never too early to start educating kids about alcohol and the dangers of underage drinking. I love this, thanks for sharing!